Today we have a fresh trailer and interview from Ubisoft regarding Assassin's Creed Unity. Alex Amancio, Creative Director, spoke about Unity and the open nature of the missions in Assassin's Creed Unity. They're called Black Box missions, and the idea here is that everyone will approach each mission with their own gear, their own strategies and their own routes. In Assassin's Creed Unity, you play as Arno, but your voyage through the game will be yours alone. 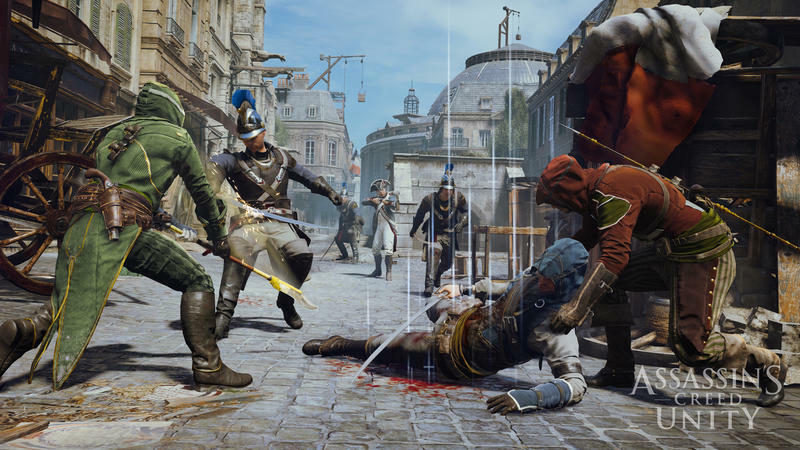 Set during the French Revolution, Assassin's Creed Unity lets you fully customize your path through Paris, with "black box" missions, unique skills & gear, abundant side content, seamless co-op, and many different ways to approach almost any situation. If you're wondering about the early gameplay behind the interview itself, we actually have an article specifically featuring that clip. You can dig into that here. Assassin's Creed Unity will launch for the PlayStation 4, Xbox One and PC platforms on Nov. 11, 2014. We'll have more on the game as it comes.